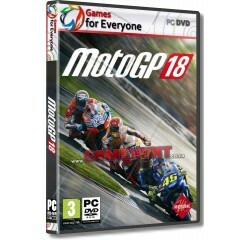 MotoGP 18 - R180,00 : Game Hunt, Where we lead, others follow. Feel like a professional rider, decide how to change your bike, learn how to manage tyre wear and use the MotoGP ID to monitor your progress. Following your friends' races has never been so simple thanks to the new cameras that can be set to Spectator Mode. Processor - Intel Core i5-2500, AMD FX-8100 or equivalent® or equivalent AMD® processor.